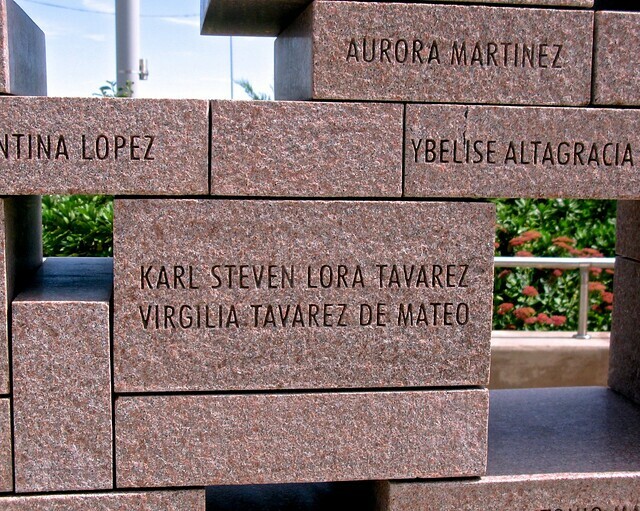 On November 12, 2001, American Airlines Flight 587 departed JFK International Airport en route to the Dominican Republic. At 9:16 am, seconds after take off, the jet crashed into the community of Belle Harbor, killing all 260 passengers and crew and five Belle Harbor residents. 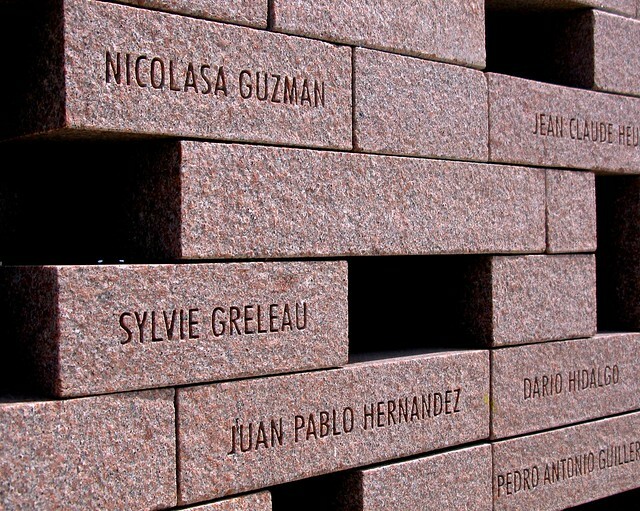 People from France, Haiti, Israel, Taiwan, the United Kingdom, and the United States and Puerto Rico were on the flight. 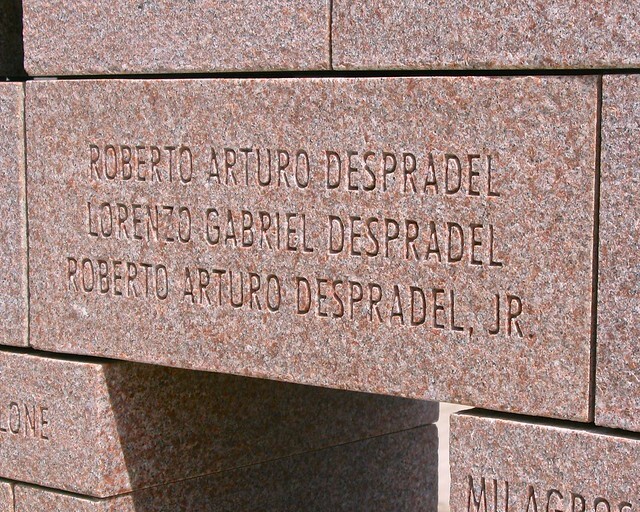 Yet the majority were of Dominican descent, traveling to their homeland, or returning from visiting family. The plane struck the ground at the intersection of Beach 131st Street and Newport Avenue, where members of the fire and police departments (many of them off duty) and numerous volunteers rushed to the scene. 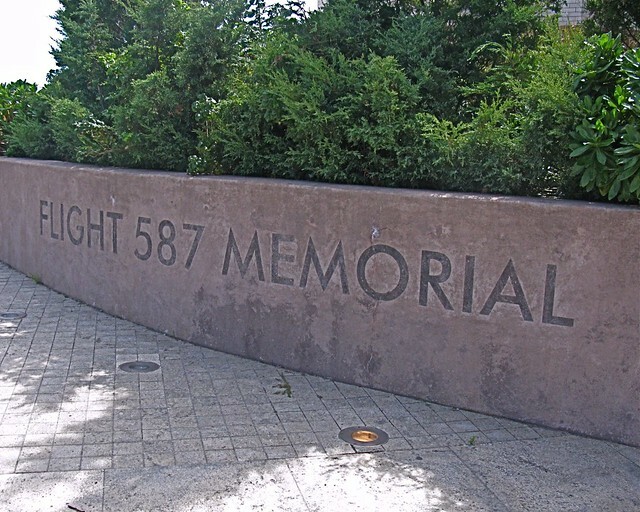 Despite their heroic efforts, the crash of Flight 587 stands to date as the second largest aviation tragedy in U.S. history. 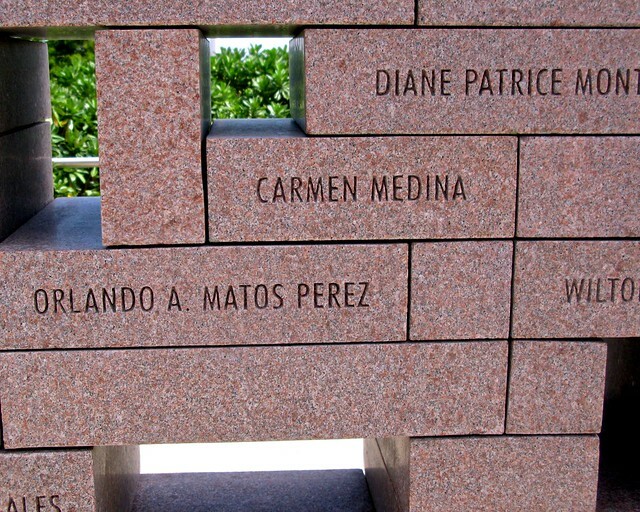 All New Yorkers were devastated by this terrible event, occurring only two months and a day after the World Trade Center attack. 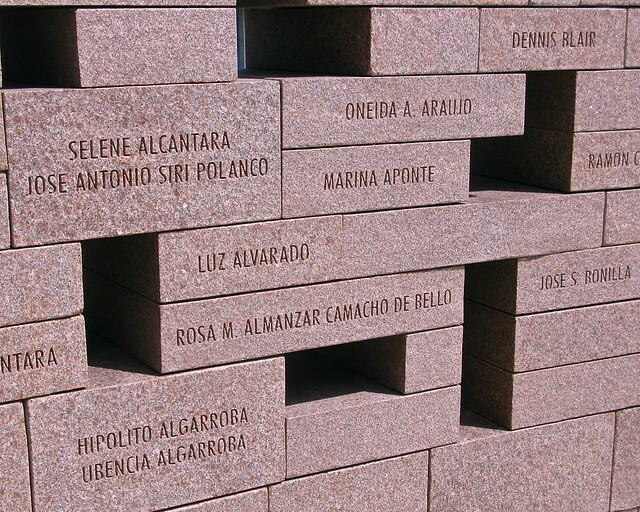 The communities of Washington Heights and Belle Harbor were uniquely affected. Many of the passengers lived in and around Washington Heights. 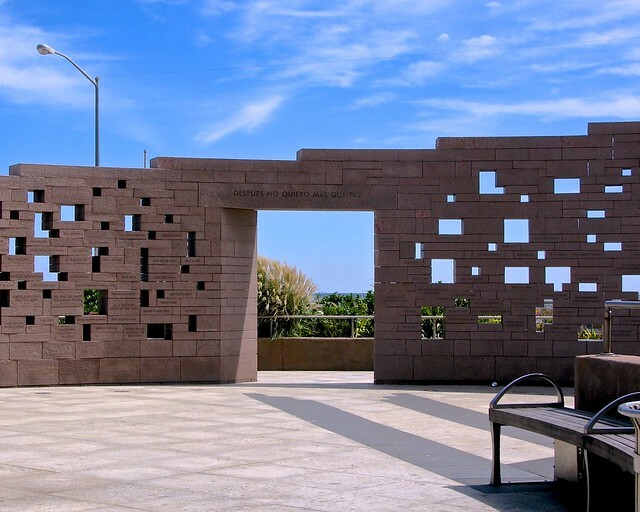 Belle Harbor was home to many police officers and firefighters who lost their lives on 9/11. 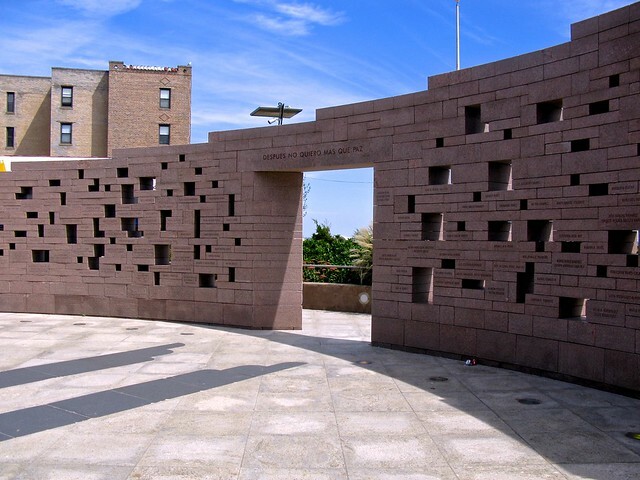 These communities, together with the families of the victims and the city of New York, have created this monument to honor those who perished and ensure that we never forget those we have loved and lost. 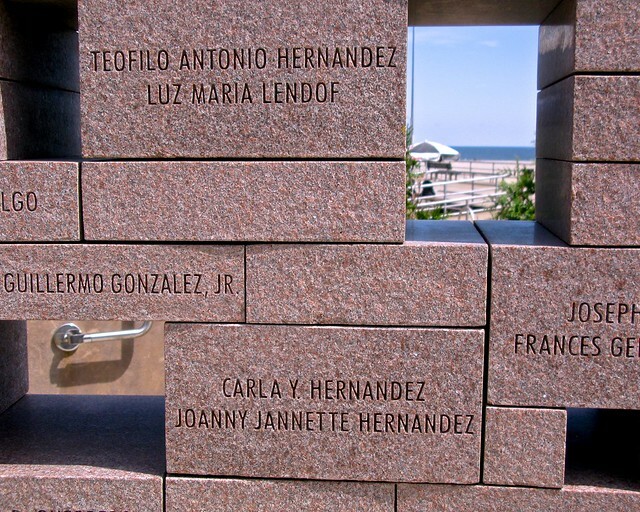 Freddy Rodriguez, a Dominican-born New York City artist, designed the Flight 587 Memorial that stands near the beach in Rockaway, Queens. 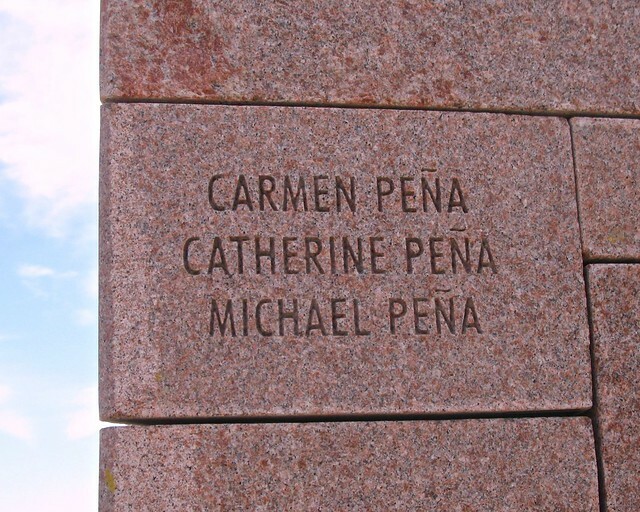 It was dedicated on November 12, 2006, the fifth anniversary of the day the packed Airbus A300 crashed in nearby Belle Harbor. 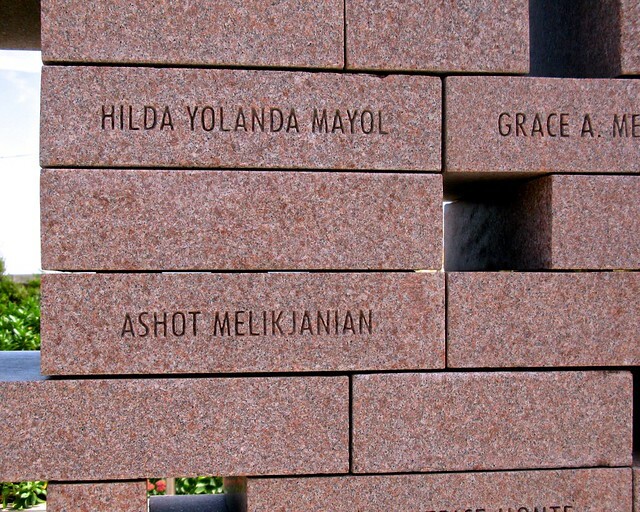 Placement of the Memorial was controversial: many of the victims’ relatives wanted it to be built at the scene of the disaster, while residents opposed the idea, saying it would create a constant reminder of the horror that had traumatized so many of them. 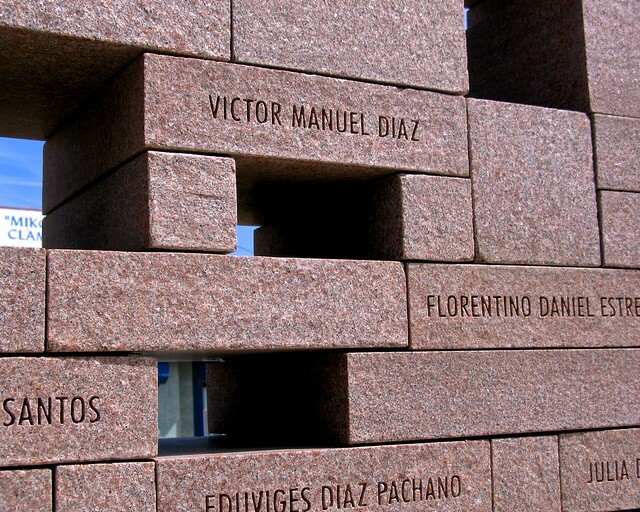 The conflict was resolved by placing the structure within the boundaries of the neighborhood, but about 15 blocks from the crash site. 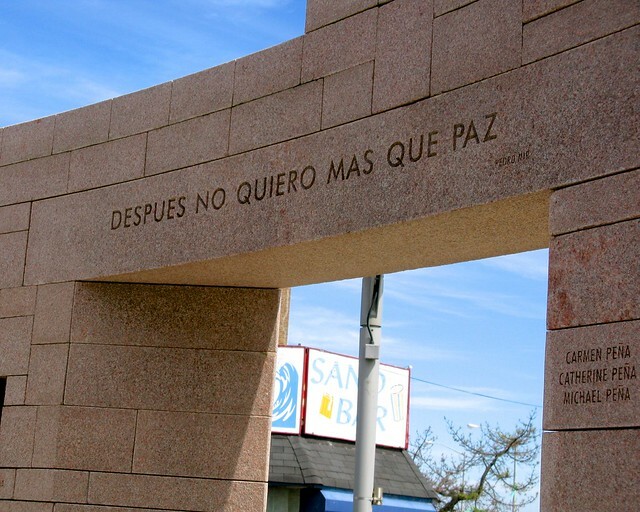 The Memorial stands at the end of a street full of shops and apartments near the Ocean Promenade. 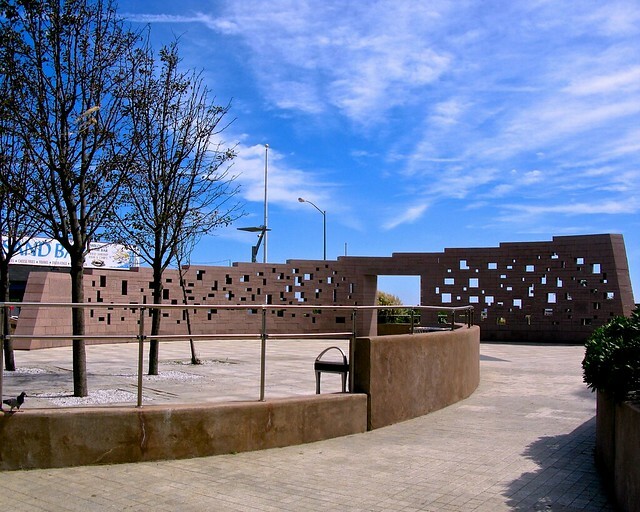 Its curving wall has window-like openings providing broken views of the Atlantic Ocean. 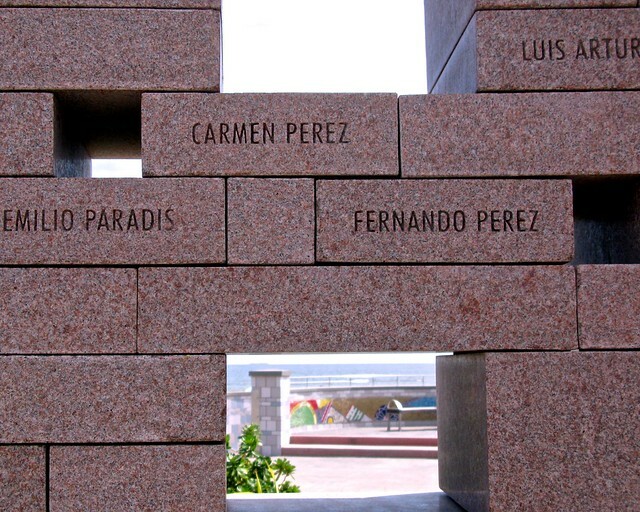 Near the center of the wall is an open door angled towards the Dominican Republic. 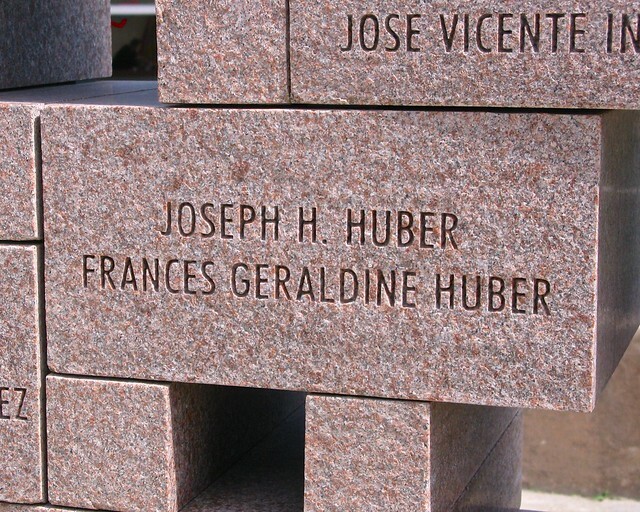 The rose granite blocks are inscribed with the names of all 265 of the victims. 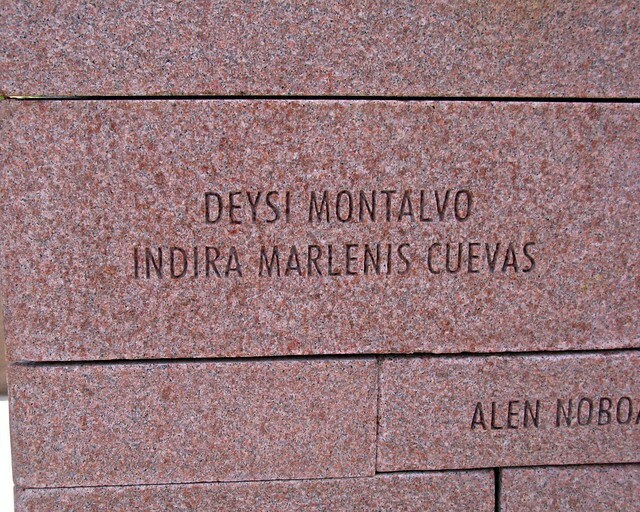 A large block is inscribed with the description of the incident (quoted above). There I was, minding my own business in Downtown Brooklyn, when I was approached by a member of the NYPD. Despite momentarily wondering whether “cheesecake” might be a code word for some type of illegal activity, I admitted that I did, in fact, like cheesecake. With that, the officer told me that to celebrate its 65th birthday, today Junior’s restaurant was selling cheesecake for 65 cents a slice. To Brooklynites, there is no question about where Junior’s is located, what it serves or why a 65 cent slice of their cheesecake is worthy of a proclamation. Junior’s restaurant was founded by Harry Rosen on the corner of Flatbush Avenue Extension and DeKalb Avenue on November 3, 1950. Rosen said that if his was going to be a great restaurant, he had to have a great cheesecake. He and his pastry chef began tinkering with formulas for the rich sweet until they found what they considered to be the perfect recipe. The pubic agreed and Junior’s cheesecakes have gone on to worldwide acclaim. 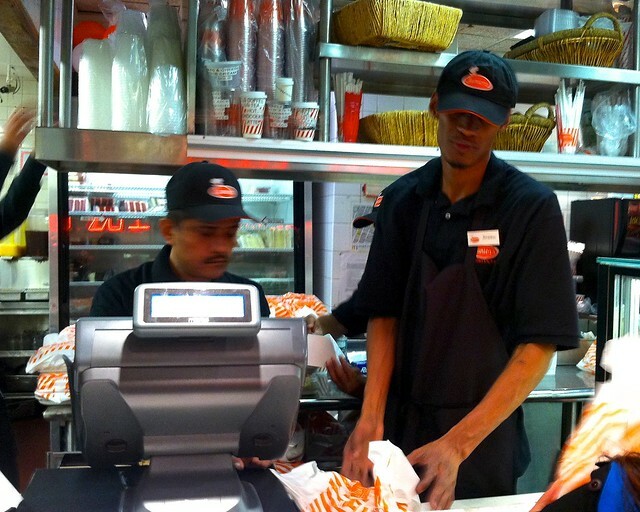 Junior’s is now in the hands of third-generation owner Alan Rosen. The little corner restaurant with the scrumptious dessert has become a local landmark. There are branches in Manhattan at Grand Central and Times Square and a location within the Foxwoods casino in Connecticut. There is a mail order business (said to sell over one million cakes per year), several cookbooks and scores of awards naming theirs the best cheesecake in the city. 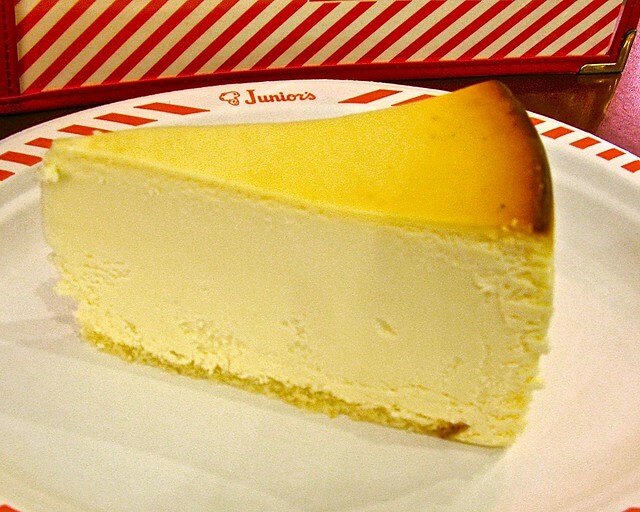 And a single wedge of Junior’s classic cheesecake sells for $6.95. To celebrate its 65th anniversary, the restaurant announced that it was selling slices of its famous original New York plain cheesecake for just 65 cents—one per customer—only at the original Brooklyn location on Tuesday. 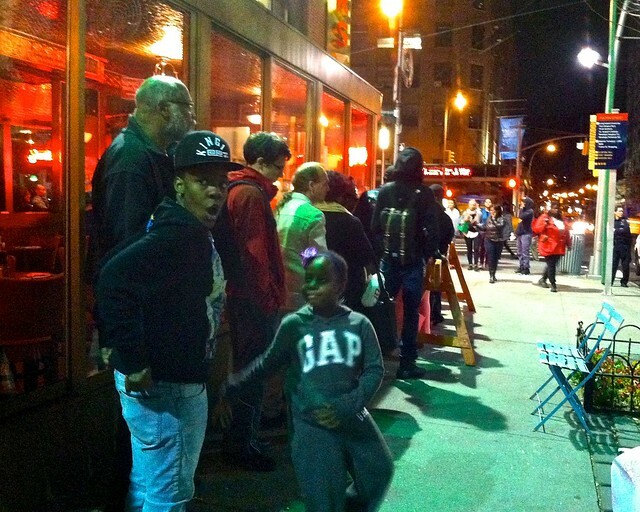 The line began forming before the sun rose. Celebratory signs and balloons were fastened to the restaurant’s famed orange exterior, crowd control barriers erected, security guards posted at the front door, a squadron of police officers stationed at the curb. 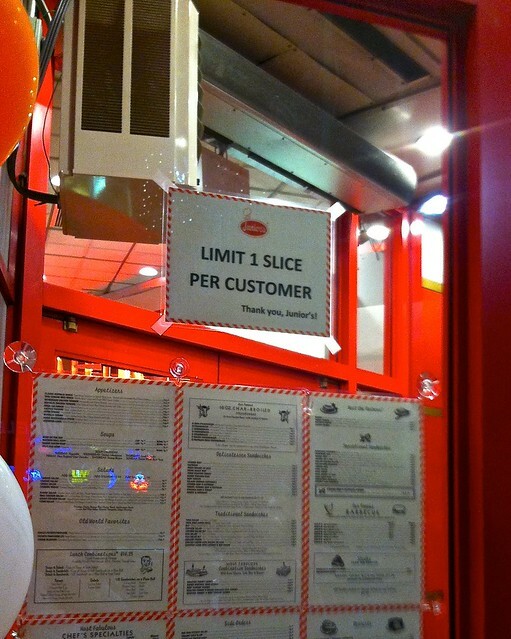 Behind closed doors, thousands of cheesecakes were baked, sliced, packaged and bagged for the waiting crowd. 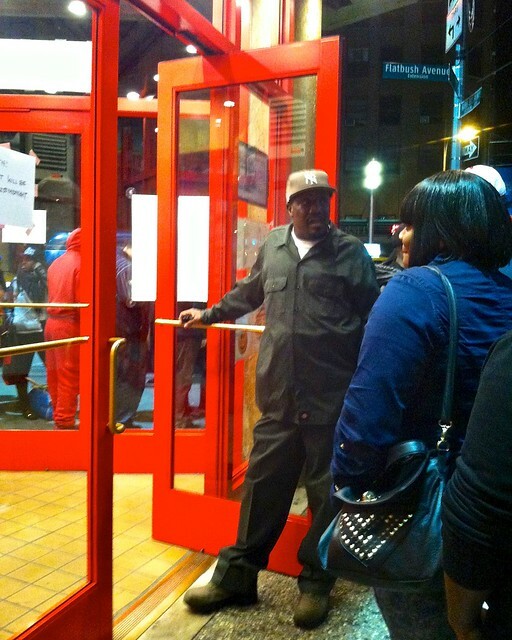 By the time doors opened at 6:30 a.m., the queue stretched down the block and around the corner. Some passersby called out that people had to be crazy to stand outside like that “just for a piece of cheesecake.” But they were wrong. 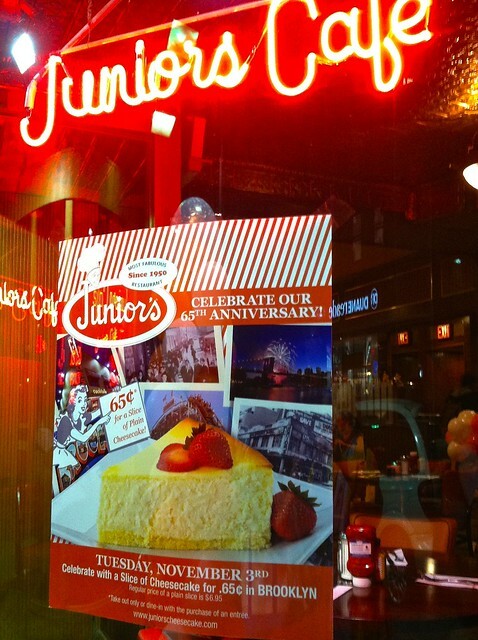 It wasn’t “just cheesecake”—it was Junior’s. You are currently browsing the Blather From Brooklyn blog archives for November, 2015.